Here at Adaptive Services we offer a large range of beds & mattresses suitable for domestic, care homes or hospital environments. So whether you’re looking for an adjustable divan or a more specialised bed with multiple adjustments and variable height then pop into our showroom or just call and speak to one of our experienced team who will help you make the right choice and get you a bed which best suits your needs. Once you have chosen your bed it is important to get the right mattress both for your new purchase and that meets you’re needs. 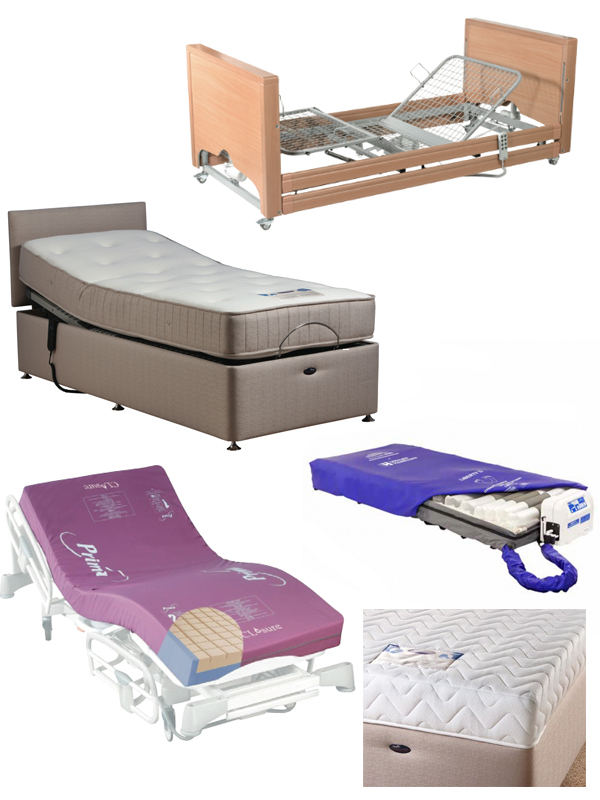 Here at Adaptive Services we have a wide range of mattresses to choose from including Sprung, foam and airflow, so whether you’re looking for a fairly standard mattress or something more specialised to prevent or treat pressure sores we have the right one for you.